Give your loved one a simple, stylish way to show off your sentiments by making an easel card! 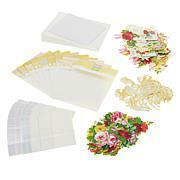 With this beautiful card kit, you can make 20 different easel cards with a wide variety of designs and embellishments. Make someone's day when you make it yourself with a little help from Anna Griffin! I love it and is so easy to make. I love them and they are so easy to make. Love making these cards. They are soelegant when completed. It is suchfun to send them to family & friends. 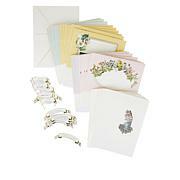 Anna Griffith Easel Cards are Gorgeous! Fabulous product! When you make a card with this kit, it isnt just any card.Sending one of these handmade cards is worlds above any commercially available card, and the recipients know how much you care. Anna hit it out of the ballpark again with this one. It is absolutely beautiful. 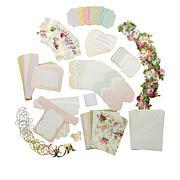 I have many of Anna's card kits but these easel card kits are so perfect and easy to make. They are the prettiest cards I have ever made. So Springtime, just makes you feel happy! 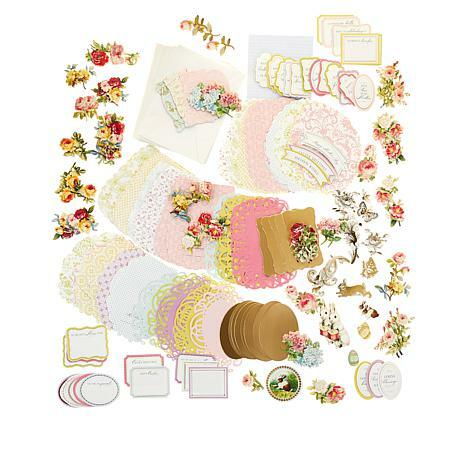 Just as great as the "Be Mine" Easel cardmaking kit. Anyone I give a card to always loves it.